School is out...Summer upon us. | A.B.E. Remodeling, INC.
Well here it is….Schools out for summer. 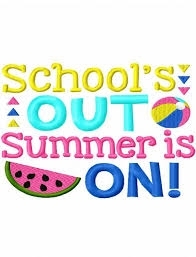 I believe most all of the local schools and colleges are now on summer break. Hope the children had a great year and will move forward to the next grade if that's the case. Now the parents get to have the children full time till August-September. So what's the plans? This message is short…just wanted to put a note out here to say "we hope you all have a great summer and if you have kids now at home for the summer…well just stay calm and take it one day at a time."